The year is winding down. Players are looking forward to presents in the coming year. For many, that seems to include new bannings in Modern. Banlist mania always heats up as a new set release nears, but traditionally it’s been worst at the end of the year. Previously this was because the Modern Pro Tour was coming—now it’s mostly to fill space. I get it, we really don’t have a lot else to talk about in the Magic world once December rolls around. The problem is that it really isn’t very productive. And it also sets you up for disappointment. We’ve been down this road before. Our batting average, when predicting anything other than “no changes,” is pretty poor. Nobody saw Splinter Twin coming, and we really didn’t expect that Sword of the Meek and Ancestral Vision would be unbanned at the same time. Or that unbanning Golgari Grave-Troll would actually make Dredge a deck again. Wizards has consistently shown themselves to be wildcards and are unpredictable. I propose a more constructive line of conversation. Ultimately, everything boils down to this question. What will Wizards do on January 20? There is absolutely no way to know. We used to think we had the criteria down, but then Splinter Twin was banned and everything we thought we knew about the process went out the door. We gnashed our teeth down to the gums about this decision, and I still don’t agree, but it happened nonetheless. And nobody saw it coming. Maybe it was foreseeable in retrospect given the reasons Wizards laid out, but nobody thought it was necessary. This tells me that, despite Wizards’ statements about their intentions for Modern, we will never really understand how they make decisions. This is not necessarily a bad thing. Keeping the process secret is essential to avoid rewarding speculation. It also means that they can evolve the process over time without scrutiny and exercise discretion. If they were to lay out the exact criteria they use that would lock them into a single method, which might fail to adequately respond to emerging problems or force action when none is required. It would almost certainly fuel that speculation. Rigid criteria can function like a checklist, and as a card ticks more boxes the speculators move in. Such action could also serve to game the system as players see a problem deck moving closer to triggering a ban and shift away, lowering the risk through expectation of that risk. I’m fine with Wizards releasing general principles and guidelines for bans rather than actual rules. The problem is that if you’re trying to make predictions based on those guidelines you are firing at a target that can move without warning. Your guess can never truly be an educated one. Uneducated guesses are also known as opinions—you can insert your favorite expression about opinions here. The other problem I have is what rampant and frankly useless speculation does to the Modern community. There’s nothing wrong with discussing Modern’s problems, real or merely perceived, but the banlist speculation often gets unhelpful at best. And thanks to the above-mentioned problem, it just makes everything so much worse. I’m certain you’ve seen this before. A given community opens a thread about Modern’s health. Said thread turns into players venting frustrations. Those players find like-minded individuals. These individuals go about in circles discussing their issue and proposed solutions. Eventually they decide upon the “correct” solution to that problem and will not be moved. They are right, and any contrary opinion is therefore wrong. Cut to a few months later and the next banlist announcement. The community has determined the correct course of action and is convinced that Wizards will see the light. And then as they usually do, there is no change. And. There. Is. A. Meltdown. The groupthink goes into apocalypse mode and everything is absolutely the worst ever. It’s all a grand conspiracy and all of their detractors were in on it. Modern is ruined forever and we’re all going to burn to death! Every. Single. Time. This is not a good thing. It’s creating toxicity in the community and can lead to fracturing as feelings get hurt and members lash out. In light of the fact that we cannot predict Wizards’ decisions and they have a very different view of the format than we do, I’m suggesting that we start turning our discussions to more useful topics. But ask what you can do in Modern. I’m not saying that this format is perfect, but wailing about flaws is not going to actually solve anything. Crying out for Wizards to do anything is a losing proposition, so instead let’s turn our energy to fixing the problems ourselves. Through clever deckbuilding, good preparation, and good analysis, we can improve these perceived problems. We might even be able to solve them on our own. I really believe that if players stopped wasting time talking circles about banning or unbanning cards as solutions, and instead applied that energy to solving problems, they actually would get solved. And now I’m going to try and do exactly that. As I mentioned earlier, everyone has their own opinions about what exactly is wrong with Modern. The sheer disparity of opinions on the subject would tend to suggest that nothing is, in fact, wrong, but such attitudes do not help me meet my word count so let’s assume that there is in fact a problem. I am furthermore going to assume that it is solvable without help from Wizards. Otherwise, the above section is pretty pointless. This means we need to define the problem. There exists a general consensus that Modern is very fast and uninteractive right now. The evidence presented ranges from the lack of Tier 1 control decks to the proliferation of aggressive beatdown and combo decks, to the limitations of answers in the cardpool. The most common offenders are Infect, Death’s Shadow Zoo, and Dredge. These decks are cited as being very unfair in terms of their kill speed and their non-interactivity. I find it interesting that Bant Eldrazi and Affinity aren’t often included in these discussions. The former appears to get a pass due to the infrequency of its really good draws and the comparative fairness of its average draws. Affinity is interesting because that deck shares many characteristics with Infect and Death’s Shadow Zoo in terms of kill speed and ability to win from well behind. The availability of hate cards is one explanation, but I suspect that it’s also because players are just used to it. It’s accepted due to its long history in the format. This suggests that the problem is not that there are fast decks but how they’re operating. A format without fast decks gets very bogged down and, I think, boring. What players are frustrated by are the number of decks that can win from behind. This is supported by the fact that many think that Become Immense, the key card in a lot of seemingly out-of-nowhere wins, is a frequent ban call. I don’t believe that players dislike having fast decks in the format. They just don’t want them to easily win from behind. Also the fact that Dredge is a deck. We’ll leave that alone for this week—it would spread the focus too much. What Become Immense does in Infect and Death’s Shadow Zoo is to turn a single creature into a lethal threat. Six is a lot of your poison total, reducing the actual resources necessary for Infect to kill. Six is a much lower chunk of life than poison, but coupled with prowess and sometimes Temur Battle Rage, it quickly spirals out of control. On the surface, a pump spell doesn’t really seem like much of a problem. You just kill the creature in response and the problem disappears. The trick, particularly with Infect, are tricks. Both decks play ways to protect their creatures which means that removal isn’t a sure thing. Couple this with cheap but powerful creatures and players feel that they don’t have an actual opportunity to prevent their deaths. This is frustrating. 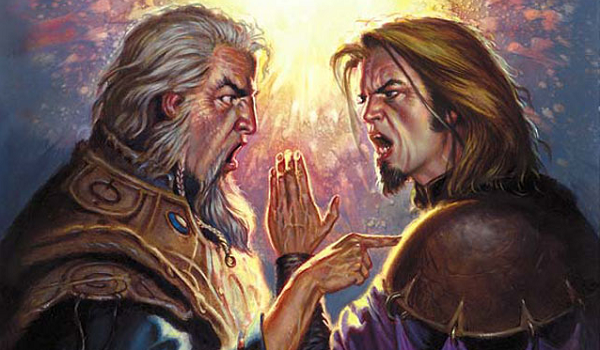 On the one hand, the interplay between threats, answers, and tricks is an essential part of Magic. The game is much less interesting when everything resolves exactly as expected. The problem arises when it feels like the scales are weighted in favor of one side. Is this true in absolute terms? No. Modern is full of cheap kill spells. Might it be a case of saturation? As in it is easier to play more threats and protection spells at low mana-availability and overload answers? This seems plausible. The problem isn’t that players can’t interact or lack answers, it’s that they feel or actually are unable to deploy enough to survive. Therefore we should look at how to reduce the risk of having your answers overwhelmed. There are solutions that are immediately apparent whenever you start to examine a problem. It is usually safe to assume that those engaged in solving the problem are not utterly oblivious and have tried them in the past and for whatever reason they did not work. However, the reason they didn’t work can be instructive, so it’s still useful to examine them. In this case, that solution is just to play more cheap removal spells. If the opponent is beating you in number of relevant spells per turn, the incredibly obvious solution is to make it easier to play more spells per turn. However, most Jund and Jeskai decks are mostly cheap removal. Jeskai frequently plays full sets of Lightning Bolt and Path to Exile and is still vulnerable to Infect. Why might that be? I suspect that it comes down to mana. When on the play, Infect is perfectly capable of killing on turn three. Assuming that it hits its land drops (which isn’t too implausible) it will have three mana open. More if there are any Noble Hierarchs in play. At most Jeskai will have two mana open. This ensures that Infect will always have the option of playing one more spell than Jeskai, more if some of them are Mutagenic Growth. Therefore the answer decks are too behind on mana on the draw to keep up with Infect’s answers. The other possibility is that players are misplaying. Playing removal during combat is an invitation to get blown out in response. The strategy against both Infect and Death’s Shadow Zoo is to use removal either during your turn or after combat, so that any spell used to protect the creature doesn’t benefit their clock. Assuming that players are uniformly adopting this strategy, it must not be working as well as hoped. Why? It could be a case where the counter strategy of carefully deploying threats so you can also protect them is more effective. Infect in particular plays a lot of pump and protection spells, so they can gradually bait out the answers until their opponent is too depleted to stop them. This would explain this feeling of always being at a disadvantage that many complain about. What is the unifying problem of answers versus Infect and Death’s Shadow Zoo? Answers cannot be deployed quickly in large enough quantities to reliably protect against death, and even when resources have been depleted, those decks have a massive spell that wins on its own. How can we defend against this menace? The most common problem I’m seeing is that the threat decks have a mana advantage, either because of actually free spells or because they can choose when and how to fight, while the answer decks must always be ready or risk losing. What this suggests is that a persistent, manaless answer is the solution to the problem. A manaless, cheap solution to spells that target creatures already exists. It’s called Spellskite. Remember that card? Used to be everywhere until the rise of permanent-based decks made it superfluous. As long as you have two life points, you can and will prevent your opponent from just winning with a pump spell. Looking around, I think this is the actual solution to a lot of the complaints. It answers Infect nicely, especially since they started cutting Twisted Image from their maindecks and it goes a long way towards slowing Death’s Shadow Zoo. It blocks and stops their combo. Is it perfect? No. But it is a good place to start. Just because you think that there are cards that should not be in the format doesn’t mean you can just wish them away. There’s no reason to expect or hope that Wizards sees the problem as you do and will act as you would. I think there are a number of mechanics that should not be, and some that should never have been in the first place, but I’m not blind to their continued existence in the format. Instead, assume that we’re on our own to solve these problems and get to work. Complaining and wishing won’t solve problems. Understanding the problem and looking for solutions will. I completely agree. Speculation is unproductive, and tends to go the way of people venting about cards they don’t like or games they feel they lost unfairly. I actually think that the way to fix the problem is an unban, not a ban. If you want to slow the format down, reintroduce Twin – it will keep all of those fast linears in check, and boost BGx’s profile by virtue of their head-to-head matchup. I’m not sure that this will happen, but I think it would actually fix some of the problems. If nothing does happen, I propose to adapt – I’ve been long advocating that decks like Merfolk dedicate themselves to beating fast linear decks because of how comfortable I feel facing interactive decks. Spellskite is a good start, as are cards like Dispel and Remand (which blows out the likes of Become Immense or a flashback spell). If you make them your focus, you will do well. I have been guilty of complaining about problems far more than trying to solve them. Well, moreso complaining about the cost of solving them, but at some point it is just time to decide if I want to spend a little extra cash to win. I remember when nexus used to put cards into the banlist criteria grinder to see if they were banworthy or not – those were interesting reads. I know twin was a shock, but in the wake of twin did wizards not come out with a statement of very transparent criteria and a vision for modern? Am I imagining that? It seems like the absolute wrong time to throw your hands in the air and say “who knows what wizards will do? !” and more like the time to be modern nexus and crunch the damn numbers. I dislike this article immensely, not because of what it contains or its premise, but because of what it represents. Modern Nexus made its name as a data-driven website that put in the work for factual analysis and comparison, backed up with contextual interpretation of the results. This article represents the exact opposite: contextual interpretation of information being used to avoid application of un-biased analysis of raw data. I can get that out of any MTG content website–maybe not as well reasoned or reasonable, and maybe not with the same quality of editing, but identical as far as information content goes. And there are some objective numbers. I crunched the win %’s, the actual and effective kill turns, and the prevalence and effectiveness of dedicated hate for every dredge and infect match that’s been on camera at major events in the last month. Spoiler alert: Infect looks a lot more like grapeshot storm did before the seething song ban now than it did when I did this same look last year, Dredge on the other hand did not. Whether I think wizards very public dislike for dredge will prompt more severe action than might be actually necessary is another issue entirely, but you can use the same methods Sheridan did and draw your own conclusions from the data and the historical patterns of WOTC. I agree with Darcy here. I think Modern Nexus had a big part in forcing WoTC’s hand after the Twin ban and I think Modern Nexus should continue to use it’s powers for the very same purpose if possible. You’re our voice. While the sentiment in this article is perfectly fine the conclusion is quite… underwhelming. “Guys, don’t complain. Play spellskite”. Responding to the last three comments here. I can understand your guys’ frustration with this article. Personally I feel that Modern can definitely use some tweaks, but I also think what David’s saying is true—it’s hard to know exactly how Wizards will apply their banlist philosophy, even if we do have a better understanding of it now that the Pro Tour wildcard has been removed. For what it’s worth, I am skeptical that any of our past articles have informed Wizards’ decision making. Certainly discussion of stuff like the banlist in the community at large is something they take notice of, but I’m not sure we’re on their radar as a go-to source. Our data analysis serves more to describe their process post hoc, although I suppose if we can move the needle on their views that’s valuable too. Finally, Sheridan has been busy with a new job, but he’s been in contact with me about writing an article or two. He pretty much has carte blanche to write as he sees fit, as pretty much everyone (myself included) loves to read his analyses. Unfortunately, I don’t really have the same expertise as him when it comes to quantitative analysis, so it’s hard for me to fill the gap. At this time I don’t have a good sense of when he’ll have another article ready (I’m not sure if he does either) but I know one is in the works. If your articles doesn’t inform their decision making they’re idiots. Anyway, not discussing something because you don’t know for sure if it will happen seems a lot more illogical to me than discussing something you already know the answer to. So I don’t understand why we shouldn’t speculate just because we don’t know for sure what will happen. They could solve a lot of problems by simply unbanning Splinter Twin. The complete removal of all Control presence (outside of one fluke event) has ushered in an era of Modern where the goal is to do as broken of a thing as possible as fast as possible. And the struggle control decks have is they simply cannot keep up. Twin allowed them to keep up, allowed them to fight this kind of degeneracy, and did so without every being oppressive. On top of all that, other forms of traditional control beat up on Twin handily; giving them more positive matchups overall. The health of the format in terms of archetype diversity was so much better when Twin was around, and bringing it back would at least help in bringing back that element to the game without having to completely dismantle and reforge the entire format. The problem with twin though is there was ONE blue deck. Every control deck starts blue, adds snapcaster, then obviously you need red for targets for snapcaster, so since you have red may as well run twin. It became stale.